Looking for Naples Local Movers who are trustworthy, best rated and top class in moving services across Florida. We offer localized service experience with detailed transparent estimates and experienced team of professionals being managed by decades old family run business. We are Act of Class Moving Company based in Fort Myers and operational across Florida for local as well as long distance moves. We have been the trusted Naples Movers for over two decades and we have served families and businesses – ranging from big to small in moving to Naples and also those who moved within Naples. We are a certified, licensed and insured Moving Company serving across Florida. Our team is passionate about serving clients – while they re-settle with new hopes and dreams in Naples. Our packing experts can help you pack & unpack even the most sensitive to most delicate possessions of yours. As one of the most preferred Local Movers in Naples, we have the best of experiences as the Office Relocates, Residential Movers, Commercial Movers and we also help the retired couples with our specialized Senior Moving Services and those who seek help in moving with kids. Our men at work are all trained, experienced and well-served moving consultants who help the Naples Movers even with the most difficult move to Naples. 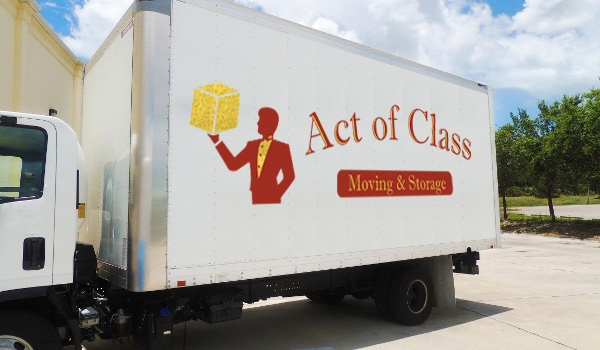 Act of Class is one of the few moving companies in Naples that caters to moving of Specialty goods with ease & élan. Our moving consultant will travel all along you, right from the moving plan, quote, packing & delivering. We also provide additional services of interior designers on request. So Call now for the best moving company you can opt for in Naples or visit personally to meet our dedicated and trained team at Act of Class moving company.